Check these awesome Flipkart cashback offers of March 2019 for SBI, HDFC, Axis bank, ICICI bank, CitiBank, Standard Chartered and Yes bank debit cards, credit cards and shop more for as long as this period lasts. Flipkart has collaborated with a number of top banks all around India to provide some of the top cash back offers in the bank card industry. Flipkart has been working with many big names to provide more benefits to all sorts of clients. The flipkart bank cashback offers that are available include some big deals that are perfect for those looking to buy a variety of different products in the near future. This will certainly be appealing to all those who are looking for ways to get more out of their debit & credit cards. The Flipkart cashback offers for 2019 include deals that can help you save great deals of money. These flipkart offers are also good for electronics products like Mobile Phones, Laptops, Tablets, Cameras, TV’s etc. Many of these flipkart offers are available for debit and credit card holders affiliated with a variety of banks. These include HDFC, CitiBank, State Bank of India, AXIS, ICICI, Kotak Mahindra Bank, American Express and much more. Some Flipkart bank offers are available on an extended variety of other products. The deals you will find will vary based on whatever you are interested in buying. These special Flipkart cashback offers are available for all those who buy new things through Flipkart. Considering the variety of great products for sale through Flipkart, there’s never been a better time to buy than now. You should certainly consider buying great products from Flipkart when you consider just how appealing the options for sale are and what makes them so special when compared to the rest of the market. What Are the Top Flipkart CashBack Offers For Bank Cards in 2019 ? There are numerous flipkart bank offers in 2019 on great debit and credit cards from banks all around India. Here are a few of the top options to see for when you’re looking to get new items from Flipkart. These offers have been made available to Flipkart customers thanks to the assortment of agreements made between the company and various banks. Be advised that there are limits as to how much you can get back and when these cash back offers are available for certain cards. HDFC credit and debit cards have a special cashback offer of up to 10% back on purchases on Flipkart worth Rs. 4,999 or more with a maximum limit of Rs. 1,500 back. This offer is available from 10th to 14th February. Flipkart has made it easy for all HDFC card holders to enjoy some of the best discounts around when it comes to great products. The State Bank of India has a cash back offer of 10% on purchases of Rs. 1,999 or higher. A limit of Rs. 1500 is used on this offer. This SBI Offer is valid from 22nd February 2019 to 24th February 2019. This is good for both credit and debit card holders, so now is a great time for you to take advantage of deals on Flipkart with your SBI cards. CitiBank has a credit and debit card offer of 10% on a purchase of Rs. 5,000 or higher. A maximum of Rs. 1,000 is available for the cash back deal. This is available on the Flipkart app or website from 21st Jan to 23rd January. The cash back will be posted to one’s bank account before 25th March, so be sure to get your purchases made on Flipkart with your CitiBank cards. This will be great to see no matter what type of card you have from CitiBank. ICICI bank cards can also be used for Flipkart purchases. Today you can get a 10 percent discount on your Flipkart purchases when you use your ICICI bank card. Don’t wait any longer to take advantage of this deal. This offer is good from 22nd December to 25th December. A maximum discount of Rs. 2,000 awaits you with a minimum purchase of Rs. 6,999. Hurry and make your buys with your ICICI bank card. The next of the Flipkart bank offer comes from Axis bank. Axis bank cards offer 10% cash back on orders of Rs. 1,499 or higher with a maximum of Rs. 1,7500 on each card. This is ideal for all types of Axis cards. Best of all, this is good for use on all kinds of purchases made at Flipkart. Standard Chartered Bank has an instant cash back offer from 17th to 19th October. This is good for a 10% discount on purchases of Rs. 9,999 or higher. A limit of Rs. 2,000 is used for each card’s discount. This special Independence Day offer is only available for a limited time. Yes bank has its own cash back offer in August too. 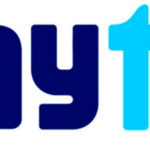 Yes bank cards offer special flat cash back deals of 15% on all purchases of Rs. 1,999 or higher. This is only good on purchases made at the online Flipkart Fashion Sale. This is good for all types of Yes bank cards so be sure to look and see what is available for your use. American Express or AMEX has its own special offer where customers can get up to 15% cash back on purchases of Rs. 9,999 or higher on the mobile app on 17th and 18th July. A maximum cash back offer of Rs. 2,500 will be used here. This is a great offer, what with American Express often not having too many special deals. The Visa Debit Card has its own offer available from 1st July to 31st October. This is good for 5% discounts on all purchases from the desktop site or mobile app. A maximum discount offer of Rs. 1,500 is available through minimum purchases of Rs. 3,000. You will have plenty of time to use your Visa Debit card on purchases here for cash back offers, what with the offer expiring in November. Be sure to get going by looking around on the Flipkart site to see what’s available as you will certainly come across something for a great deal. SBI credit card holders can take advantage of special cash back offers for EMI purchases. These deals include a 10% discount on purchases of Rs. 10,000 or higher. A maximum of Rs. 1,250 is used here. This is good from 5th to 7th Oct. The discount may be used on all kinds of EMI purchases so there’s never been a better time to take advantage of this offer than now. All credit card cash back offers are available only for a limited time. Be sure to check out the special deals that are available through Flipkart as there are plenty of good offers for you to choose from no matter what type of card you are using to take care of your purchase. Be sure to complete your order soon though as these offers are very popular and worth exploring. There are many other Flipkart cashback offers in 2019 to watch for. In particular, EMI purchases are easy to afford thanks to a special Flipkart cash back offer. Zero interest or lower interest, depending on your order plan, will be available for up to a year on your order. This cash back offer is available for three, six and twelve-month EMI plans. By going to the Flipkart mobile app, you can get Rs. 150 back on orders for Rs. 1,500 or higher. You will get your cash back instantly. This is only available for this current week in February so be sure to hurry up to take advantage of this deal. What Are Ongoing Cash Back Deals There? There are plenty of cashback offers on Flipkart that are available through the year. You may not have to pay through specific credit cards depending on what you are interested in buying. Flipkart has become a trusted name in the world of mobile devices thanks to how it offers a variety of great phones for you to choose from. You will find the latest models with some of the best features around. These include phones from all the hottest brands like Samsung, HTC, Motorola, Apple, Sony, Lenovo and LG among others. You will get 10% cash back on your mobile device purchase with your credit or debit card or through an online banking order. The phones that are eligible for this sale will vary throughout the year so be sure to check online to see what special deals are available. You can also find great cash back deals on laptops from all the hottest names. After you choose whatever new model you want to order, look for the proper cash back offers on that special choice. After you do this, you will certainly come across some great discounts on whatever it is you are interested in. Be sure to check on whatever laptop is of value to you and take advantage of a great offer right now. Flipkart also has the latest tablets from all the hottest names in the world of technology. You can search for tablets based on your requirements for disk space, memory, connectivity and other features. The cashback offers will vary by each tablet choice. You can check the Flipkart site after you’re done to see what special deals are available for your particular model. All the hottest books from many bestselling writers are available through Flipkart. Add books to your shopping cart and see what special deals you can get off of them. After you get your books ready, you can check on the cash back deals on Flipkart. There are plenty of cash back offers available in many books throughout the season, thus giving you a great way to save big. Flipkart has an assortment of great television sets for you to choose from. You can find LED, LCD, smart and Ultra HD television sets for sale here. In fact, the odds are great you will find a cashback offer on your television set of interest when shopping here. Be sure to check out the different discounts that are available when finding great television sets through Flipkart. You might be surprised as to what you will find here. Flipkart also sells cameras from DSLRs to camcorders to lenses for all kinds of models. You might be amazed at the quality of the pictures you will take with one of these cameras. Better yet, you will be surprised at the cashback offers you will get off of your devices. The special deals you can find will certainly be worth exploring. Flipkart has cash back deals on all types of cameras and other devices you can use for your recording needs. You certainly need clothes for all sorts of purposes. 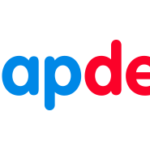 Flipkart has great clothing products of all sorts for men, women, and kids. These include clothes for evening wear, formal events and so forth. Flipkart will hook you up to all the latest trends in the world of fashion. Check out different deals on Flipkart fashions throughout the year. These include many cash back deals on all the latest products. The assorted interior décor products that you can get for your home are certainly worth checking out. These include great pieces of furniture and many decorative items for use in your own home. The special deals that we’ve got for your needs will certainly be worth checking out. The cash back deals that are available include a variety of special offers to give you bigger discounts. These discounts are available for a vast variety of products. These include deals on kitchen furniture products, cabinets, storage spaces and dining room furniture. Best of all, you can find products made with a variety of materials like teak wood, bamboo wood, and rubber. Many of these items may be customized to fit your specific needs. Some of the products you will find through Flipkart are items that you can only get through the Flipkart website so be sure to look around to see what big deals are open. It can cost a good deal of money to get an appliance but that doesn’t mean you cannot save big on one. You can find cheaper appliances through Flipkart right now. Flipkart proudly offers great deals on a variety of appliances. These include cash back offers on dishwashers, refrigerators, and clothes washing machines. You can also get smaller appliances with cash back offers on them too. Deals on induction cookers, water purifiers and much more are available throughout the entire year. Be sure to visit Flipkart regularly to see what the hottest Deals of the Day are. By going to the Deals of the Day page, you can find information on the biggest special discounts for that particular day. There’s always a new discount being made available every day on this site. Act fast though as the sale is only good for one day. There’s also the risk of supplies running out too. More than a hundred products in a variety of categories can be found on this part of the site each day. These products include special options with discounts of 50% or more. This should provide you with some of the best deals on anything you’re interested in. Check back on this part of the site each day to see what’s new for sale. Be sure to visit Flipkart to see what cash back offers are available on various products. Whether it is from various everyday sales on the site or from special deals available through certain bank cards, you will certainly find some great discounts on whatever products you are interested in the most. Flipkart has grown in recent time to be one of the hottest names in the world of retail all around India. Flipkart was formed in 2007 as an online bookstore. Today it has expanded to sell more than 20 million products in 70 categories. The company has more than 26 million registers users and is run by a massive team of nearly 26,000 employees. There are thirteen warehouses run by Flipkart as well. These work with technology to support more than five million product shipments every month. This is to keep all people around India connected with the many products that they are looking to find. Flipkart is registered for business in Singapore and has its headquarters in Karnataka, Bangalore. The site uses strong online security functions to keep all customer data private and secure. Over the years Flipkart has changed the way how people shop for products around India. The site has even partnered with many of the top banks and credit card providers in India to offer special cash back deals on purchases made with various cards. The terms for these cash back deals will vary by each card so it’s important for people to look carefully to see what special deals are available. Flipkart accepts payment options from a variety of cards and online banking services. The company even accepts cash on delivery. The company even offers a few of its own brand name products. These are available on the Digi Flip line of tablets, USB cables and laptop bags among many other products. All products sold by Flipkart are tested before going to market. This is to ensure that the products for sale are suitable for use. The deals that Flipkart offers are especially great whether they are traditional sales offers or cash back deals with various credit and bank card providers. These include deals like an extra 10% cash back on certain orders made with particular cards. The deals that are available will vary by each individual bank card. Also, there are typically limits based on when such deals may be used and how much cash back one can get, let alone the maximum amount that can be returned on the order. 1. Flipkart offers products in a vast variety of categories. These include clothing, electronics, and furniture among many others. 2. Big discounts offers are available on all sorts of products throughout the whole year. These include daily deals on many products and big cash back offers. 3. Delivery is easy to take in as the site offers quick delivery to all corners of India. This is thanks to the various warehouses that support delivery functions. 4. A full return and refund policy are available for those who are not satisfied with the products they have ordered. 5. This all comes with top-rated customer service to support all those who have questions or concerns about their products. Flipkart will certainly be great for you to consider when looking for a place to shop at online. Be sure to choose Flipkart the next time you need help with buying all sorts of products for your own use. The odds are you will come about with some great deals no matter what you are interested in.